Child portrait photographer NYC: Julia in Times Sq. This was such a hoot, and a really super time. Ironically, Times Square is one of my least favorite places in NYC. The crowds, the noise, the selfie-sticks. It’s just not my thing. However, a couple weeks ago, Julia and her mother were in town and wanted to do a shoot. I was delighted! In a moment of madness, I suggested Times Square, and it ended up being a really fun location. I met Julia through Instagram, and Emma and Lina (thanks gals!). Julia is so sweet. It was fun to document her first visit to Times Square. I find that smiley pictures are typically very popular with parents, and for good reason. However, I always like to mix things up, and capture images that display a range of emotion. I love the wonder in Julia’s expression above, and the confidence below. Julia pretending to hail a cab. It didn’t – welcome to NYC! I love working in NYC and the Hamptons, and always enjoy new locations. It was great to do a shoot in what is arguably the most iconic NYC spot of all. The colors and lights made for a surprisingly appealing location. Want portraits of your own? Get in touch using the form below. I specialize in family and maternity portraits, as well as headshots and test shoots. I’m booked for April but still have some time in May and summer. For more information please visit my reviews page. 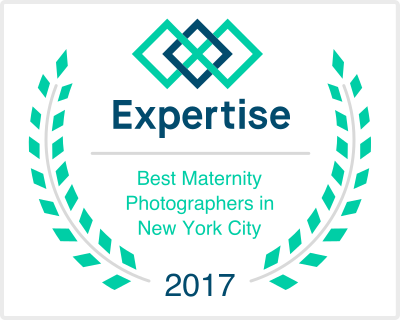 Daisy Beatty is a NYC portrait photographer, specializing in chic, heartfelt images of children and families, as well as headshots and portfolio shoots for performers. She works in studio in Manhattan, and on location in NYC, the Hamptons, Greenwich, CT, and Boston MA.